Why is it so hard to find a partner for dancing? For years I have been looking for a partner for dancing and have been having quite a bit of trouble finding one I don't care about gender when it comes to finding a partner although if lifts are involved it would probably be easier for a male but I never seem to find someone dedicated to dance. Dance is my life and it's what I love to do and it hurts me when I see people treating it like a joke because it isn't just some hobby you pick up cause you're bored and have nothing better to do its a part of you a part of your soul and if you want to dance and let it take over when you hear music coming from anywhere than finding someone to match that is really hard. But dance is hard it's a sport although most people don't see it that way they see people twirling and prancing about in pretty costumes and think it's easy but I'd like to see them do some of the things we attempt in our art form. Dance can express any emotion you feel and that's why it's so amazing and beautiful because it's as if you are letting the people watching dive into your heart and soul and seeing every part of you exposed and raw everything laid out in your dance for all to see and that is true beauty. So if you made it to the end of this long question/rant then thanks for listening and keep on dancing. Comments for Why is it so hard to find a partner for dancing? It looks like your going through a difficult time, because you don’t find a partner for dancing. 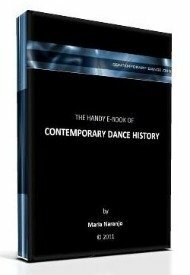 Have you thought that if you practice contemporary dance, you can also dance alone? It is a very different experience, but as everything in life, it has its better side. In contemporary dance, we even have festivals devoted to ‘solos’. I teach a dance composition course in a formal dance education program. It is the first level of a two levels for the area of dance composition. And you know what? The first thing students have to learn is to compose a ‘solo’. They are proposed to create and dance alone, mainly for them selves. At the end of the course, we do a public show and they share their choreographies with an audience. For me, the best thing of this course is that students learn that they don’t need other people to dance. If they want to dance, each one of them can do it, just by creating their pieces and dancing them. Yet, if a partner, a group of dancers or a dance company arrives to your life as a dancer, it’ll be great. It will very probably happen if you persist with your dancing. But if you learn to dance alone, you will always have the possibility to dance, if that’s what you want to do. As I see in your message, you live in a big city from the northern hemisphere. Sooo, cheer up. There are many possibilities there. Don’t give up.